Des Pawson has been a professional rope worker for more than 25 years. His passion for knots goes back to the time when, aged 7, he was given a book with some knots in it. He has studied knots and sailors' rope work ever since. Over that time he has built up a number of recipe books containing the information required to make each item, whether it is a key fob, fender, mat or knife lanyard. 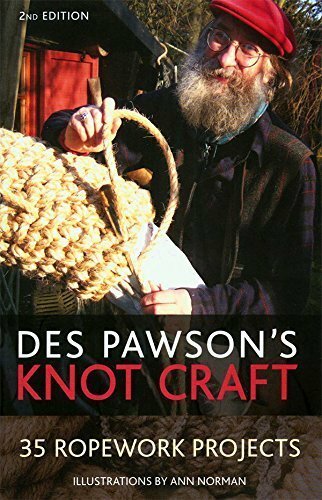 Des Pawson's Knot Craft contains a selection from those recipe books, giving the reader the basic designs, illustrating which knots and sennits are used to make them. Here is a step-by-step breakdown of how to put the knots together as well as the size and lengths of materials required. Many books have been published on how to tie practical knots but not many books give help in putting the knots together to make an object.